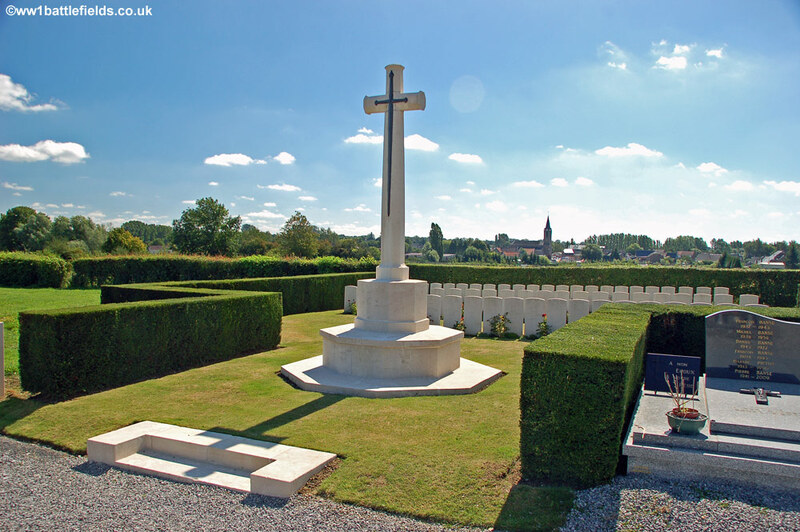 The small village of Ors is not far from Le Cateau, lying about four miles east of that town and nearly 20 miles east of Cambrai. 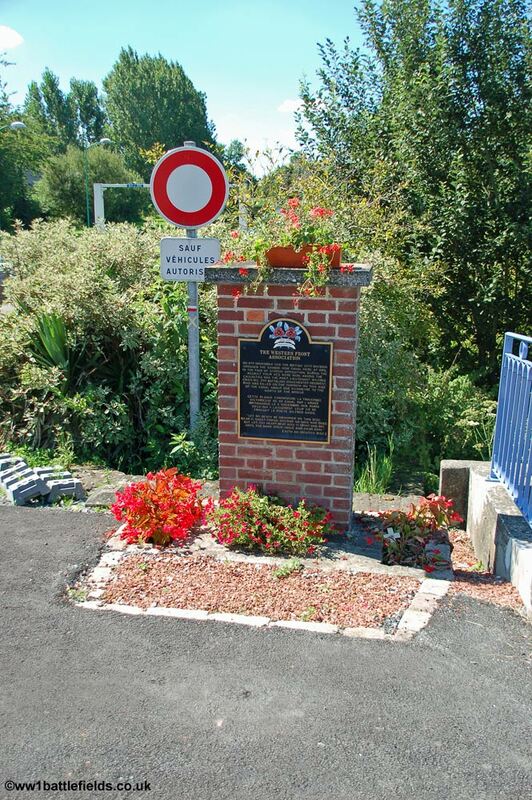 It is an unremarkable spot, with the Sambre-Oise canal passing through the village, but it is by the canal here that the poet Wilfred Owen was killed just a week before the end of the war. The Sambre-Oise Canal was crossed by the Allies during their advance towards victory in November 1918. As my interest in the Great War was originally kindled by reading Owen's war poems at school it was a place I was keen to visit. 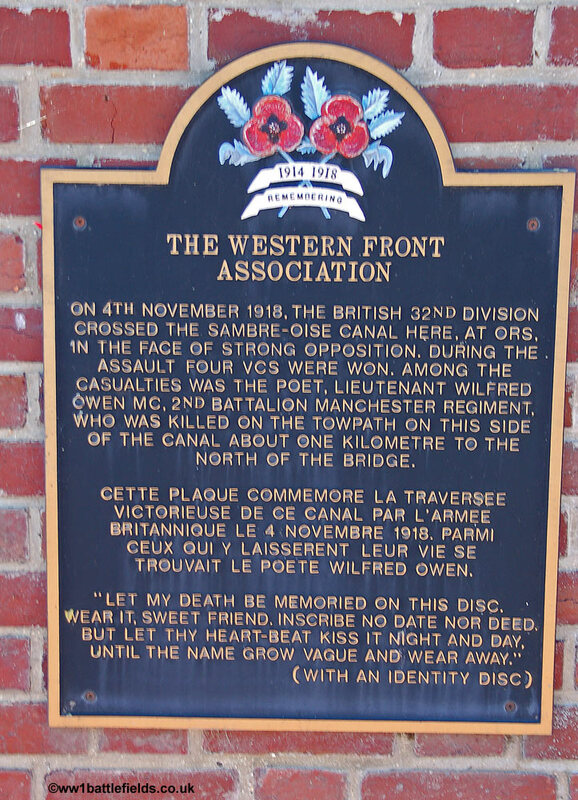 As one might expect, Owen's death here is commemorated: there is a Western Front Association plaque next to the bridge in Ors, giving information on Owen and his death, as well as the four Victoria Crosses which were won in that action (two of whom are buried near Owen). More recently, in 2013, the Nord-Tourisme created a remembrance trail. This starts from the Forester's House where Owen spent the night of the 1st of November 1918 and wrote his last letter to his mother. 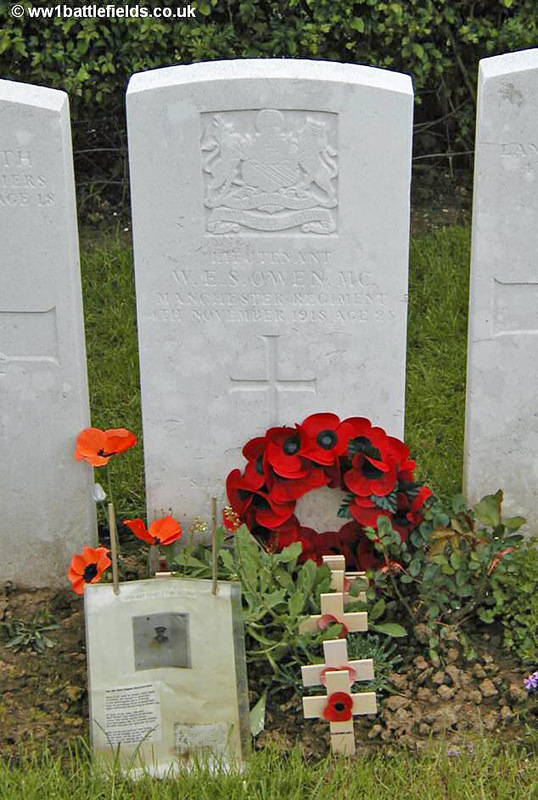 It passes through the woodlkand to Ors Cemetery where Owen is buried (see below) and on to the banks of the canal where he was killed. For more information see www.remembrancetrails-northernfrance.com. 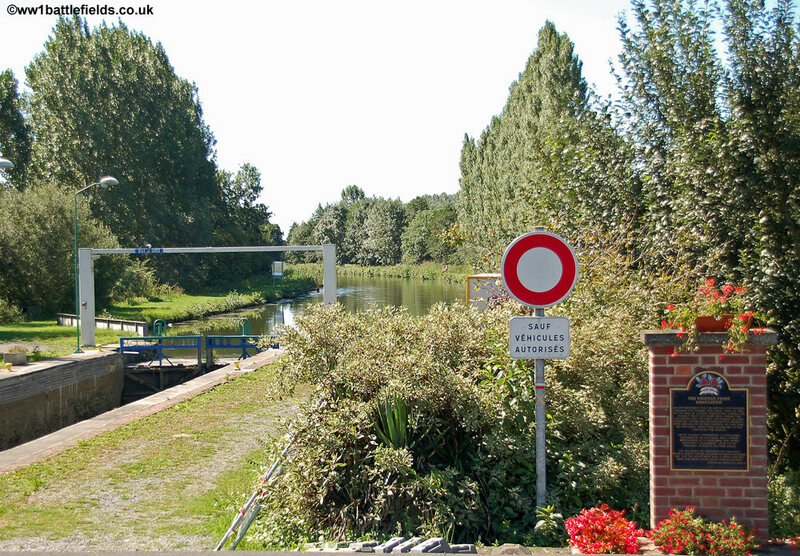 The aim of the attack on the 4th of November 1918 was to cross the canal. This was always going to be a tall order; the Germans were on the far side, and the commander of the 16th Lancashire Fusiliers, Lieutenant-Colonel Marshall, having reconnoitered the positions reported that it sould be virtually impossible to cross. However, the orders were that the attack was to progress. The 4th of November was a Monday, and the attack was set for 05:45. 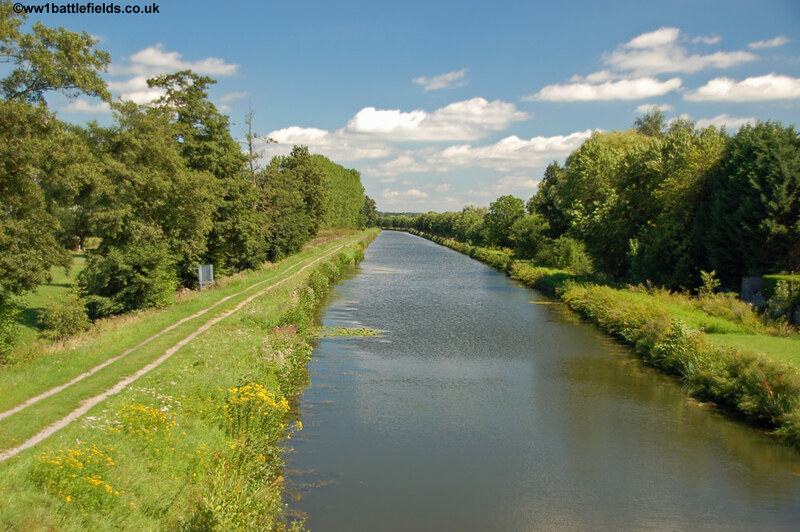 Owen and others from the Manchesters waited about a quarter of a mile back from the canal while an artillery bombardment pounded the far bank. After five minutes, the guns aimed further ahead, and the Manchesters ran to the canal bank. Sections of temporary assualt bridges were brought up and dropped into the canal to enable the troops to cross. However, they came under fierce fire from the far bank. It was at this point that James Kirk, a Second Lieutenant in the Manchesters, paddled part way across the canal on a raft, taking a Lewis gun with him. He fired from close range at the defenders, and more ammunition was brought out to him, but eventually he was killed. It was for this brave action that he was awarded a posthumous VC. Some of the Manchesters had made it across to the east bank on the one bridge that had been fully constructed, but this was then destroyed by a shell. It is not clear exactly when or where Owen himself was killed, and whether he was one of those who made it across, but at some point during this attack he too was killed. 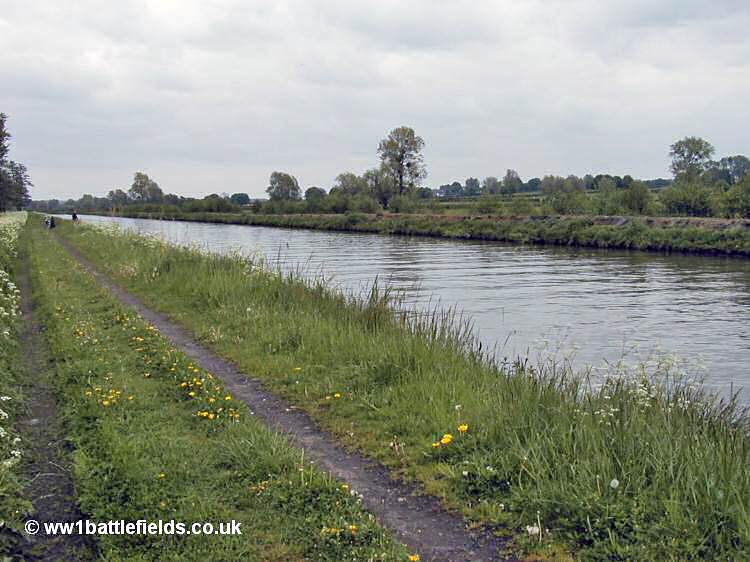 To the left of the Manchesters, Lieutenant-Colonel Marshall of the Lancashire Fusiliers had stood on the bank of the canal directing efforts to construct their temporary bridge, but this had failed for over two hours. Later in the day, the bridge was finally successfully run across the canal, and Marshall started to lead his men across. He was shot in the head and died, and was also later awarded a posthumous VC. The actual spot where Owen himself was killed lies about 100-220 yards to the left of the bridge (looking from the church bank with the church to your back). It is an unremarkable stretch of water, and hard to imagine the chaos that must have been occurring all around when Owen was killed trying to cross that night. It must be extremely unusual for two Victoria Cross winners to be buried in such a small plot. Both Second Lieutenant James Kirk and Lieutenant-Colonel James Marshall are also buried here. Kirk was just 21 when he died. 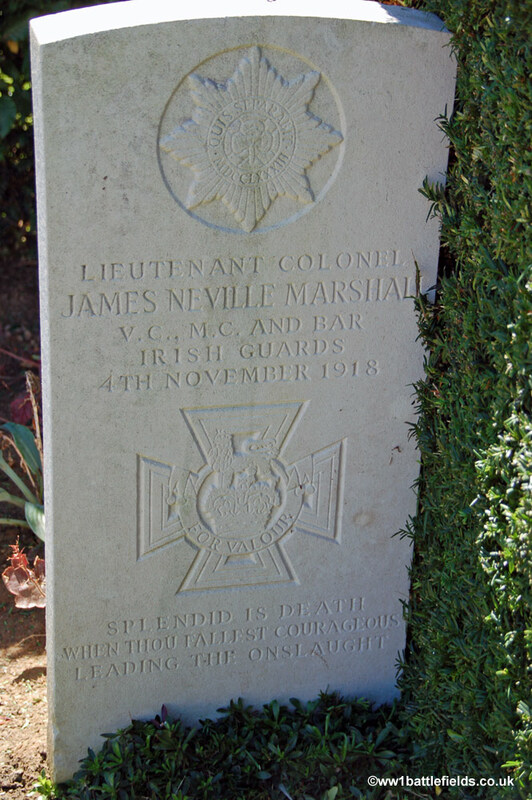 Marshall, himself only 31, had earlier been awarded the Military Cross and bar. He was also awarded the Belgian Croix de Guerre. 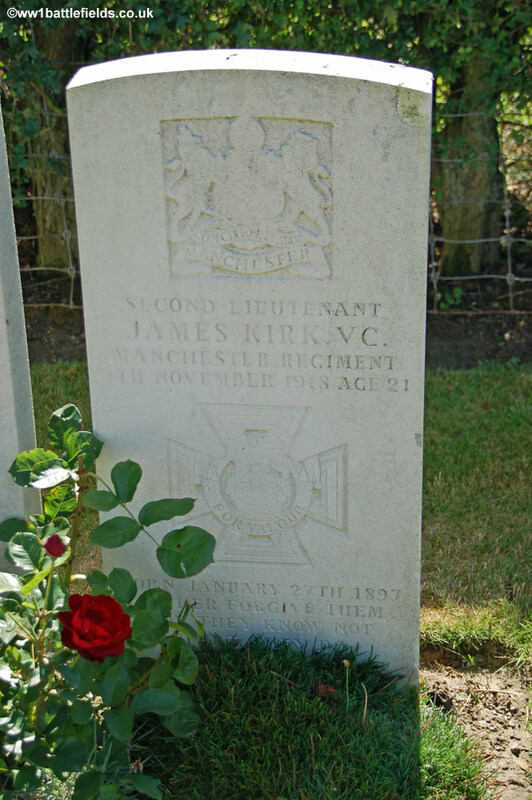 His grave is set a little apart from the others, but James Kirk is buried in the same row as Wilfred Owen. and the hollow crashing of the shells. There is no danger down here, or if any, it will be well over before you read these lines."